SCHOOL CLOSURES: If classes are cancelled during the day, Continuing Education classes are also cancelled. © 2019 Copyright Lord Selkirk School Division – Continuing Education. 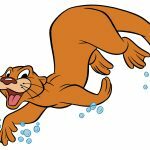 Sea Otter 3 – 5 year old Swimmers work on front and back floats and glides, kicking on front with a buoyant object, and will be able to swim 1 metre upon completion of this level. The Sea Otter class is a non parented class, swimmers must be 36″ to the arm pit. Designed for swimmers who have not taken lessons before or have taken the parent assisted Sea Turtle class. No refunds or credit will be given 3 days prior to the start of the session. Please review pool regulations refund and cancellation policies in the Pool Program Tab click here.